A complete system for cleaning, neutralisation and maintenance of a well functioning ESD floor. 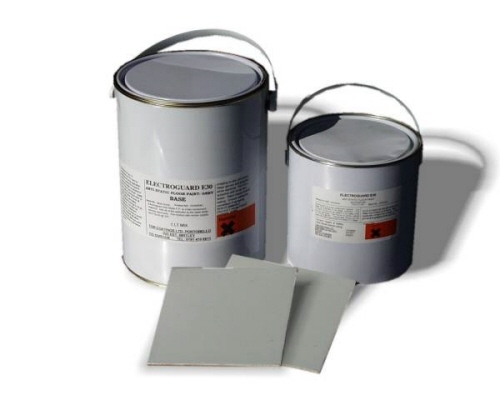 We also offer you a very wear resistant floor coating, for finishing your bare concrete floor or for repair of coated floors. Dewaxing alkaline detergent have to be used the first time, before applying the coating on the floor. It removes quickly multiple coats of wax and embedded dirt. It is suitable on PVC, rubber and hard floors. Lay off the solution and left it act for 5 minutes, then wash with water. 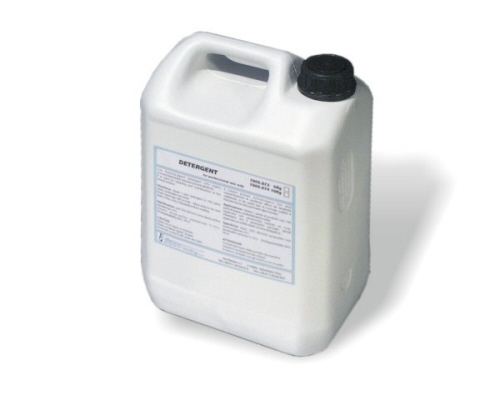 Low foaming-agent detergent with highly concentrated active substances and alkalinity. It is used for cleaning and maintenance of the waxed surface. It may be used to wash by hand and with a one-brush polisher or a washing-drying machine. 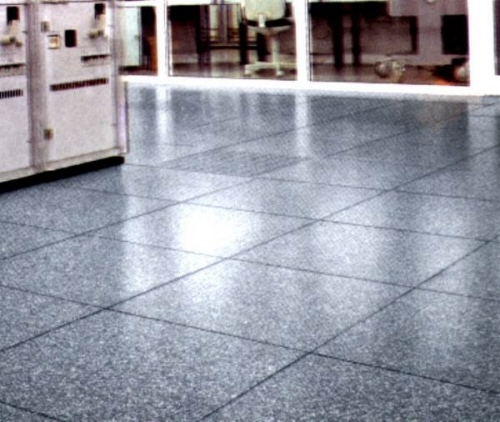 It gives dissipative characteristics to a standard floor, and it is excellent in maintaining the conductive floor in operating rooms, clean rooms and data processing centres. It may also be used to mantain the table mat's dissipative surfaces. - well wash the floor with the stripper. ELECTROGUARD 30 is a two pack water based epoxy coating which can be simply applied to existing concrete floors without the need for specialist flooring contractors. It is normally applied with two coats by brush or roller. Electroguard 30 has an attractive sating gloss finish, easy to clean and is available in grey colour.